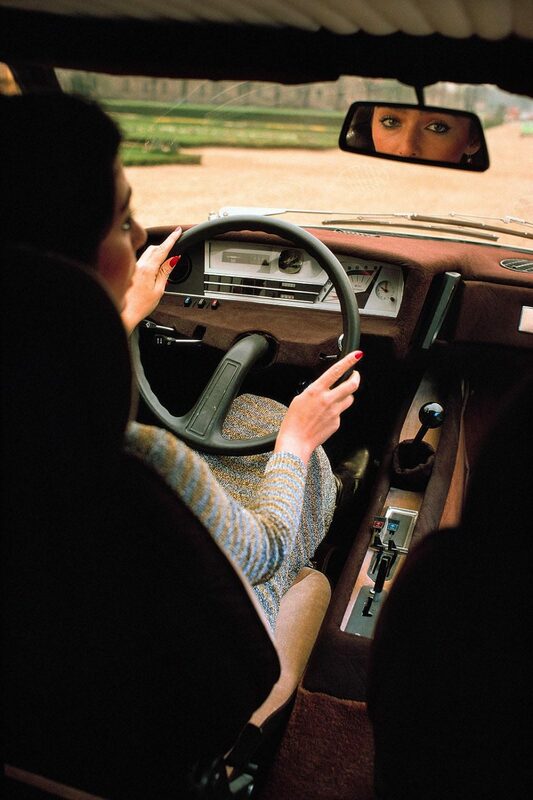 We love a good wood-rimmed Nardi steering wheel, wooden dashboard, and sporty instrumentation as much as you do, but there’s something to be appreciated with classic and very fashion-forward interiors produced by Citroën from the ’50s until the mid-to-late ’70s. 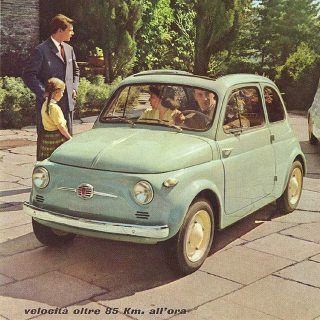 So what makes these odd-looking designs appealing even today? 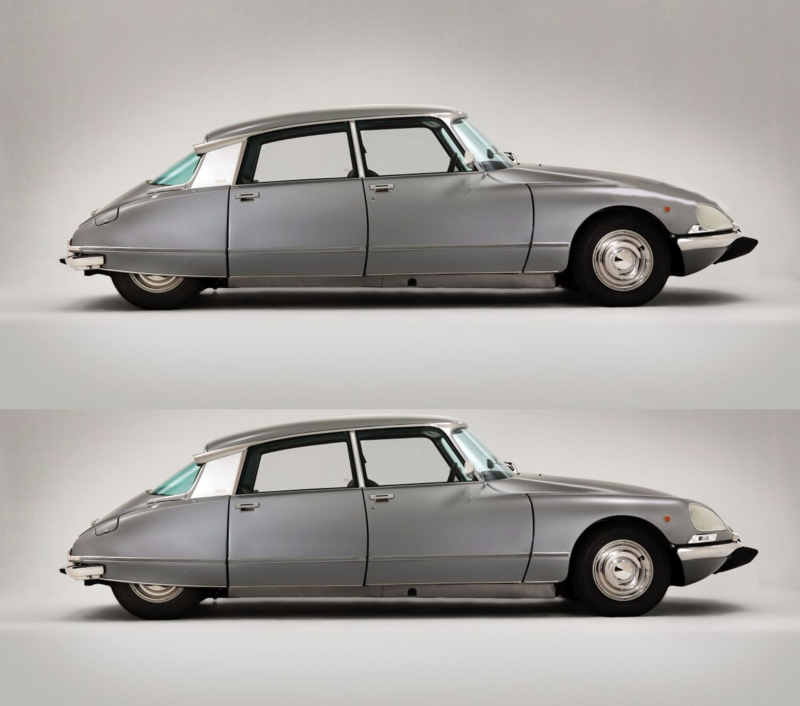 Besides the fact modern automakers still look over Citroën’s shoulder (many modern Audi interiors have an overall layout and design quite similar to that of the SM, for instance) you’ll often notice elements the company introduced decades ago finding their way into new cars. 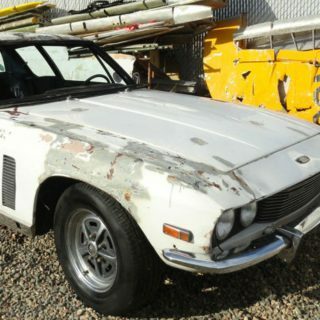 Now, as our cities become more congested and very sporty classics continue their incredible rise in value, we’ve started considering cars that are a very nice place to spend a lot of time in, and having a classic with an interior that will instantly warp you back in time is a definite plus. 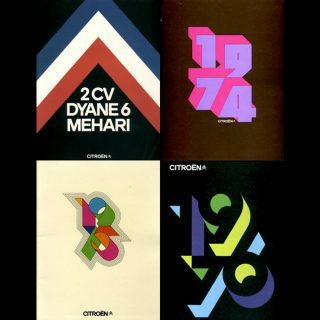 Moreover, Citroën designers often pushed out different trim choices and materials—choices were so extensive that there’s now a fan site for tracking all of the different color options! Be inspired by these interiors, and while a classic Citroën isn’t likely to keep up with a Porsche 911 on the Stelvio Pass, they’re wonderful places in which to spend time. 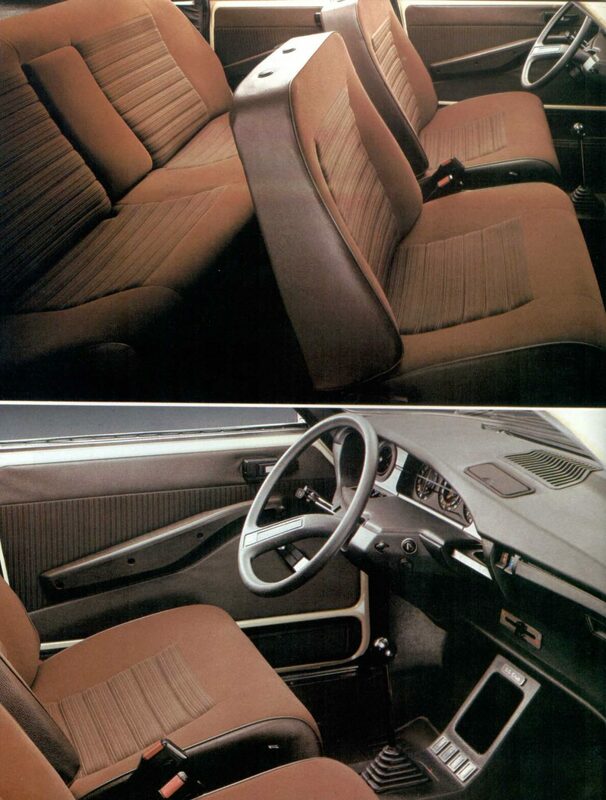 What’s your favorite Citroën interior feature? 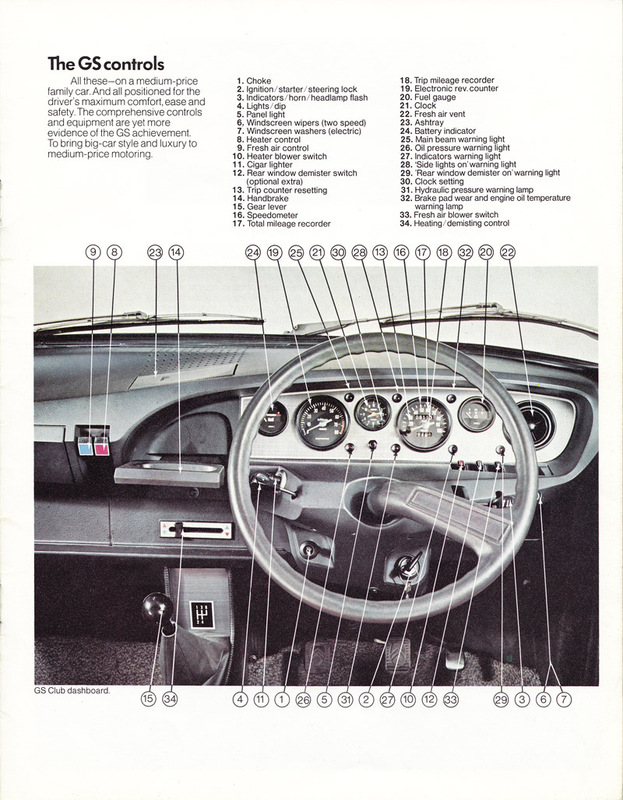 Slanted single branch steering wheel on the DS/ID that sits in your left hand like it was one and the same…pure revelry. 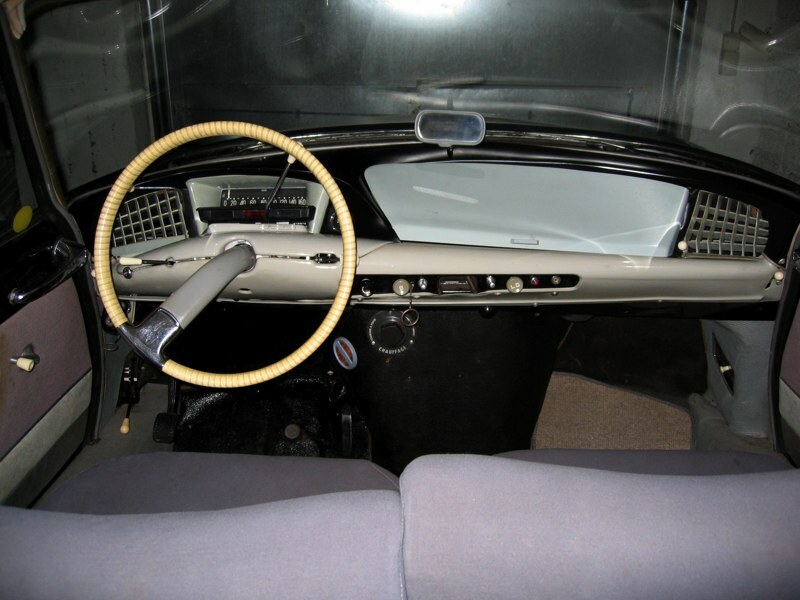 The vertically-mounted radio between the front seats in my old GSpecial 1220. About keeping up with a 911 on the stelvio pass, look for a xantia activa v6. Its the fastest car in the corners (moosetest 85km/h). 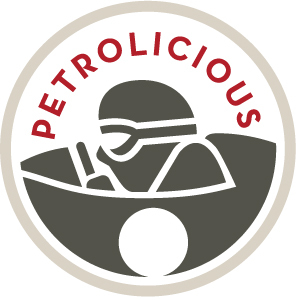 The design is ‘unique’, although it is purposeful. The fixed steering wheel hub in some citroen offers a bigger, better shaped airbag. 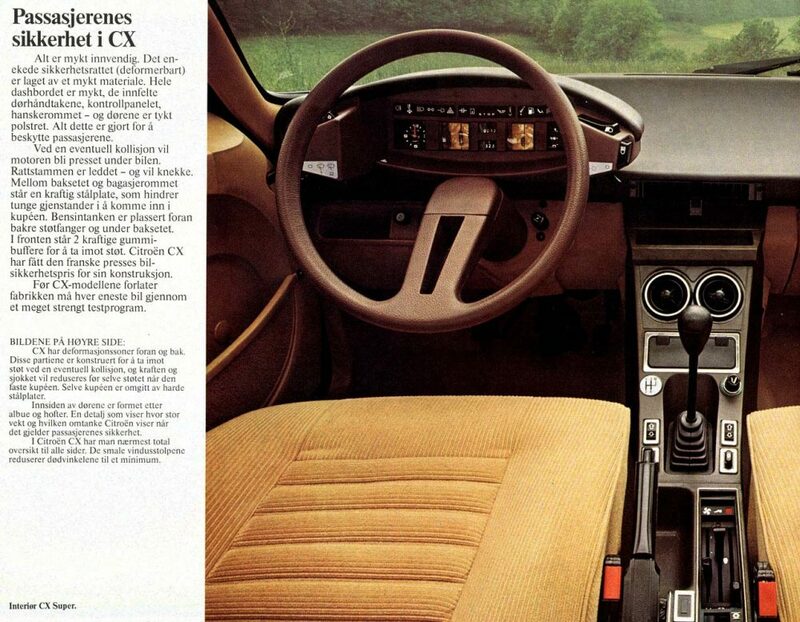 For me, all of Citroen’s interiors with satellites are a reference in the futuristic design that has almost always been associated with this automotive brand. The CX, the GSA, the Visa or even the AXEL, like it or not, the are “out of the box” from the other brands, elevating the ergonomics to a level far superior to the one of the time. 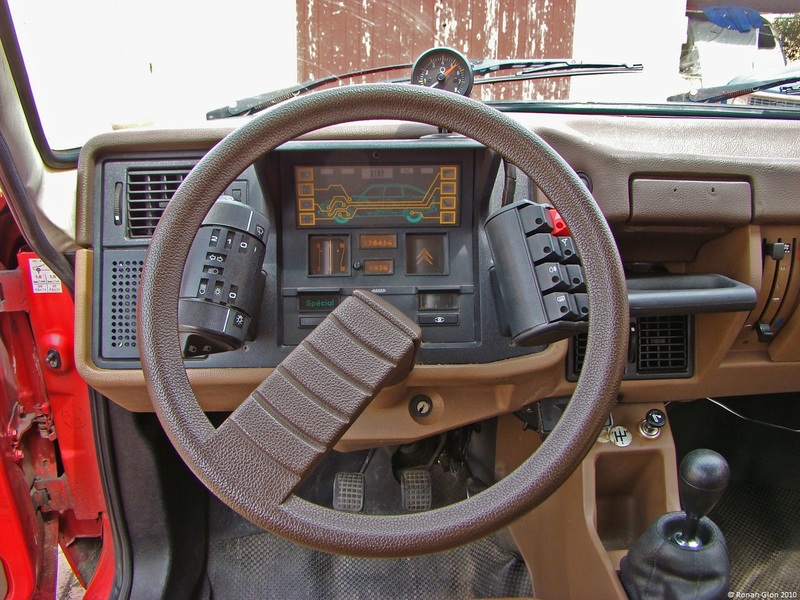 The pre-airbag steering wheel: the idea was you should hold it in a 10-to-2 position and in case of an accident the wheel was designed to fold forward at a calculated rate as to avoid you face planting it in an accident and also to absorb some of the energy. They may look ugly but they looked futuristic but above all, the bottom connected rim was there for a very serious reason! The SM’s shiftgate is one of my very favorites. 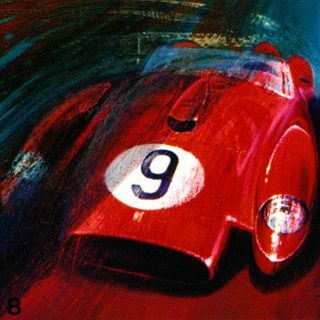 Topped only by Lamborghini/Ferrari’s gated shifters. Impossible to beat a ball on a stick. 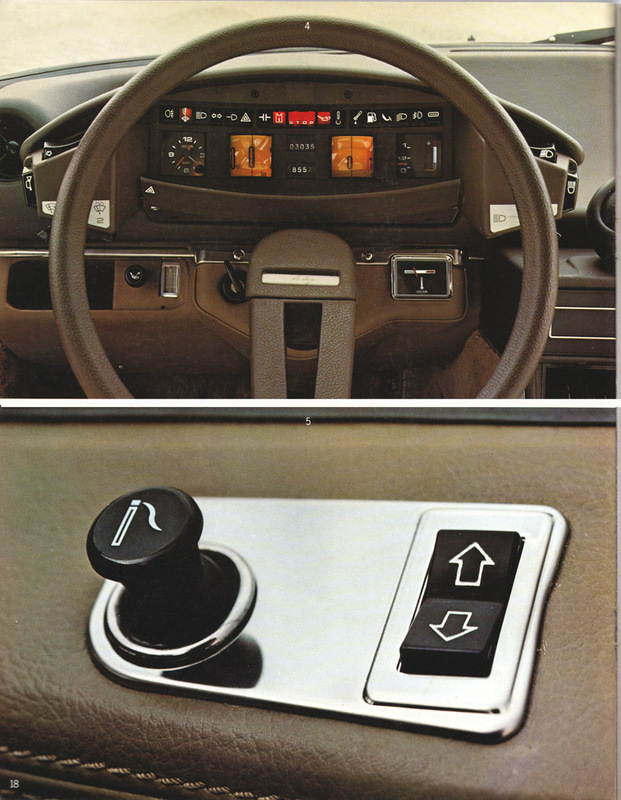 Some weeks ago a XM stopped at the garage where I’m working – though it’s not a typical classic citroen I like the interior design with “modern” features like displays and a keypad lock. What do you think about it? The XM is a disappointment. 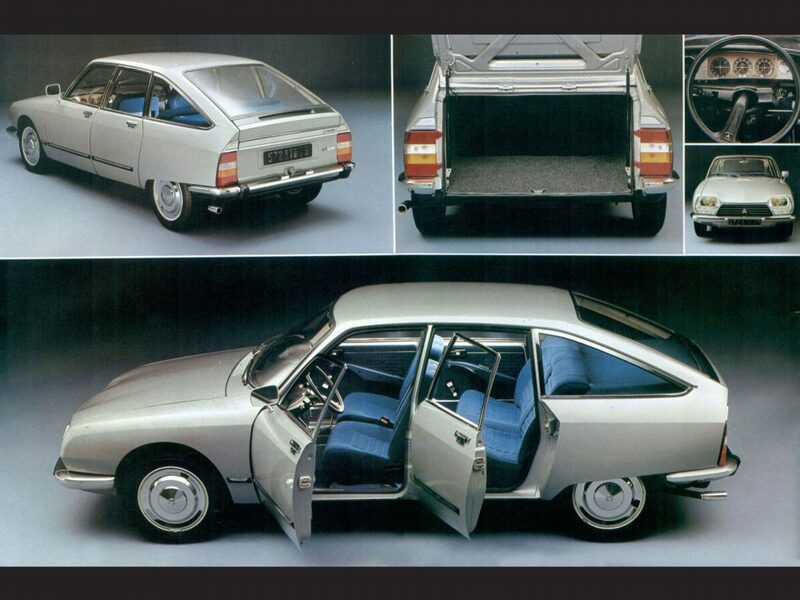 It was designed by a Peugot designer after Citroen was absorbed by PSA. 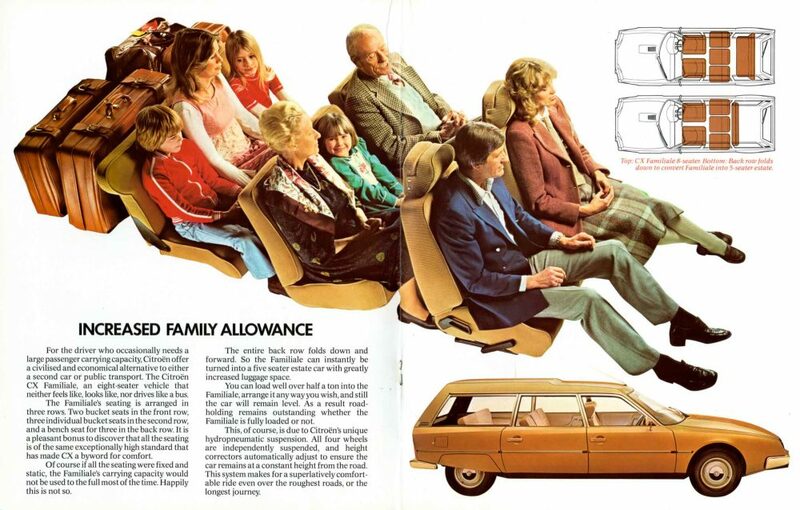 The CX interior is outstanding, I’ve always felt most at home behind the wheel in the CX. 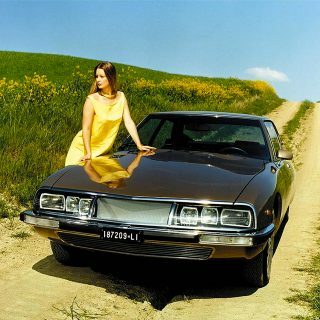 The DS is good but not as innovative as the CX. 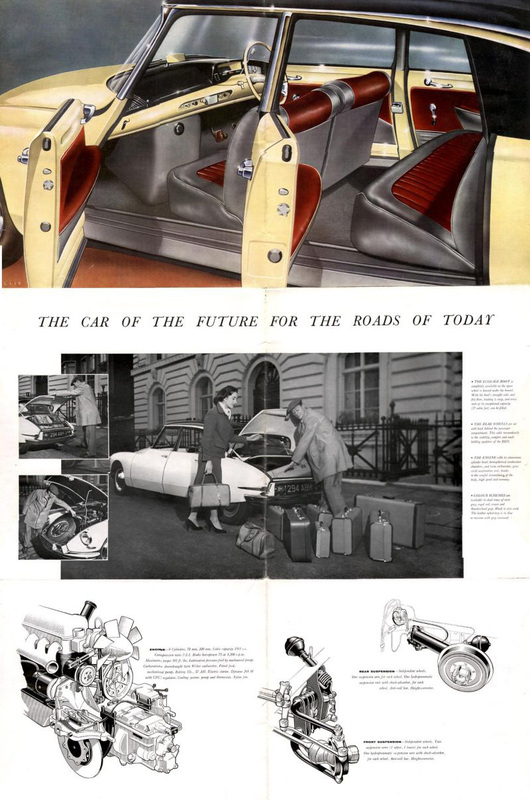 Modern, futuristic, gamechanger, style and technology breaktrough… I can agree with all of that. I’m more a Alentejo/Douro Valley when it comes to wines. As for the ‘stronger’, a good ‘aguardente’ or ‘medronho’ suits me better. C’est la vie! I know I may be in the minority here but I find these interiors (and the exteriors to a lesser degree) awful. Not trying to troll here but I have always struggled to see why so many people appreciate it. Their later cars like the C6 I love but these early boats do nothing for me. 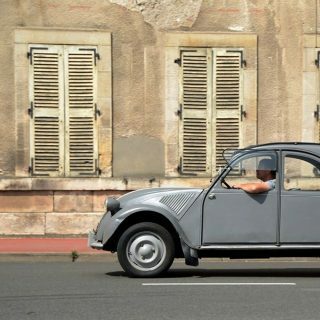 I would even take Renault 4 over a 2cv……. You are not alone. While I would not call them awful — “oddly interesting” is my term, their appeal is lost to me.